DELUXE PRECISION MACHINED BRASS FOOT VALVE WITH TAPERED SEAT VALVE AND ABRASION RESISTANT O-RING FOR POSITIVE SEALING. STAINLESS STEEL SPRING AND STRAINER. NOISE FREE AND CHATTER PROOF ACTION. 1 Inch FPT. Efficiency is everything on the job site. Cut your watering time in fourths with a heavy-duty, solid brass valve that boosts productivity without sacrificing water pressure. High flow delivers 35% more water volume to hoses, sprinklers and nozzles than standard valves. Durable construction stands up to the toughest conditions, day after day and job after job. Eco-Lock is the cleanest, fastest and most reliable way to build and maintain an environmentally-friendly, professional sprinkler system. 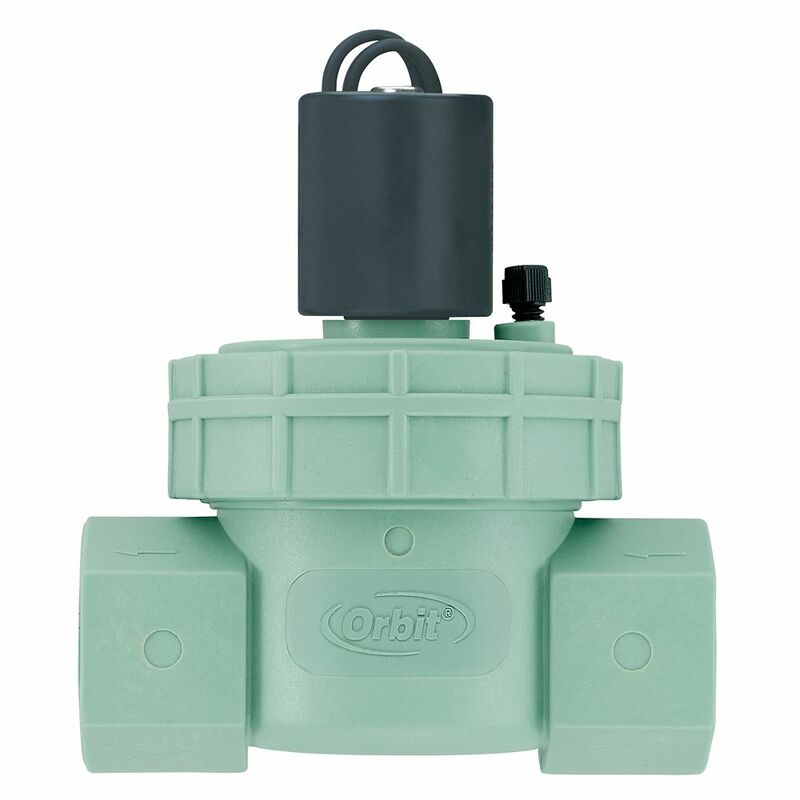 With the revolutionary "push-and-go" design, simply insert pipe into fitting to create a secure, leak-free connection. No Clamping, No Gluing, No Waiting. 1-inch NPT Jar Top Valve is rated 1.0 out of 5 by 1. Rated 1 out of 5 by Dickenscider from Absolute junk! Bought 5 of these last fall. 4 of them are leaking at the flange...tightening does not stop the leaking. The 8 year old Nelson valves, in the back yard, are still working flawlessly.....and are $2 cheaper!